When you Invite New Users into your Team, it’s important to consider what type of access you’d like them to have. 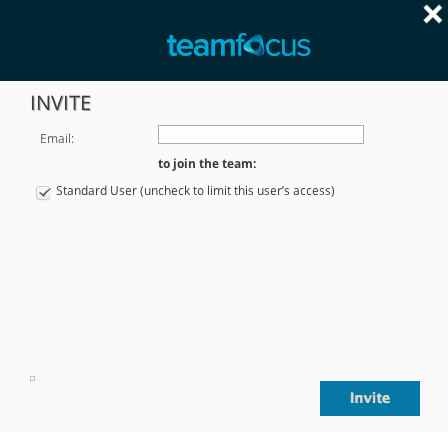 If they are to have complete access to your Team you must send them an unrestricted invitation: this means not selecting any Filters that would restrict the Tasks that they can see. This will give the New User full access to current and new Filters, as they’re created. This is the sort of invitation that would normally be used when inviting a colleague. Leave “Unrestricted access“ checked, and the invite will go out with unrestricted permissions. If, on the other hand, you’re inviting a supplier or customer, you’ll probably prefer to give them restricted access. Example: If you have a Text Field where you put the customer name, you may have a Filter called Tasks for Bob’s supplies that has a search term customer:”bobs supplies”. An Invitee who is restricted to this Filter will only ever see Tasks that match that view. Any Tasks that don’t have “bobs supplies” in the customer field, will not be visible, nor searchable to the newly Invited User. 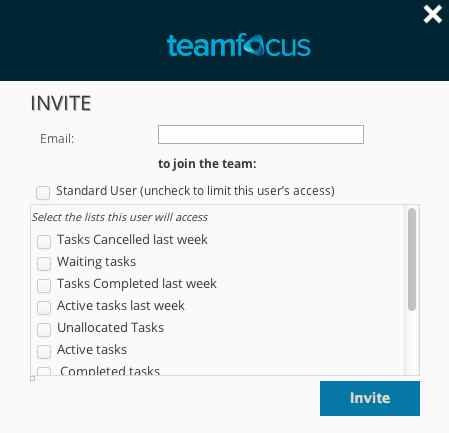 Regardless of whether you’re sending a restricted invite, or a unrestricted invite, the recipient receives an email with a link that they can click on to either log into an existing account, or create a new one and see all the tasks that they are allowed to see. Note: Members of multiple Teams can change Teams at any time.